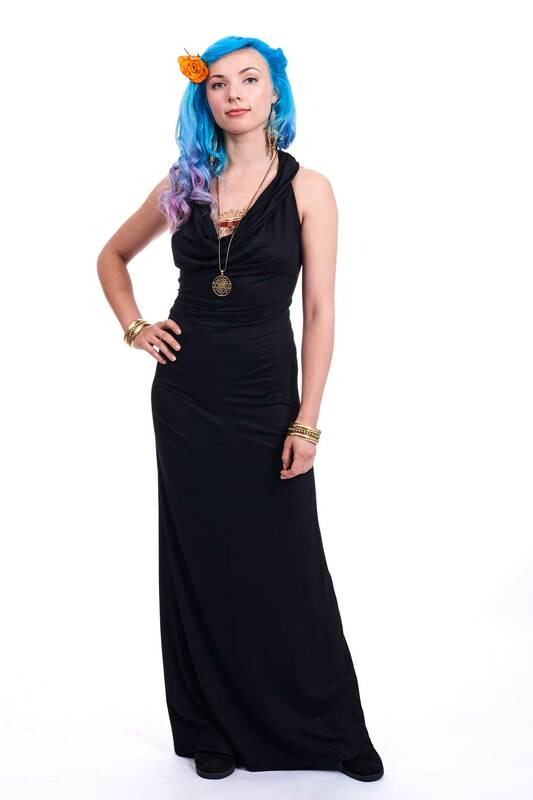 A stunning cowl neck gown fit for a goddess. 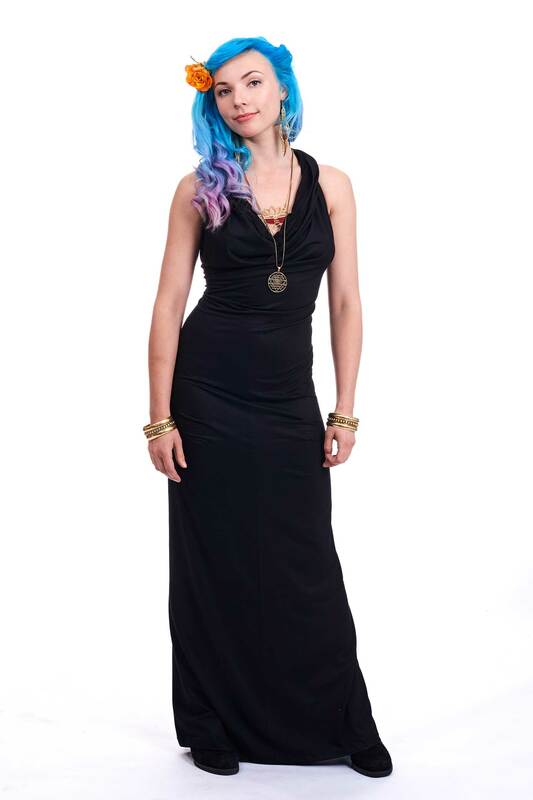 It has a cowl neck and is backless with a tie and adjustable string at the back so can be adjusted to fit you perfectly. 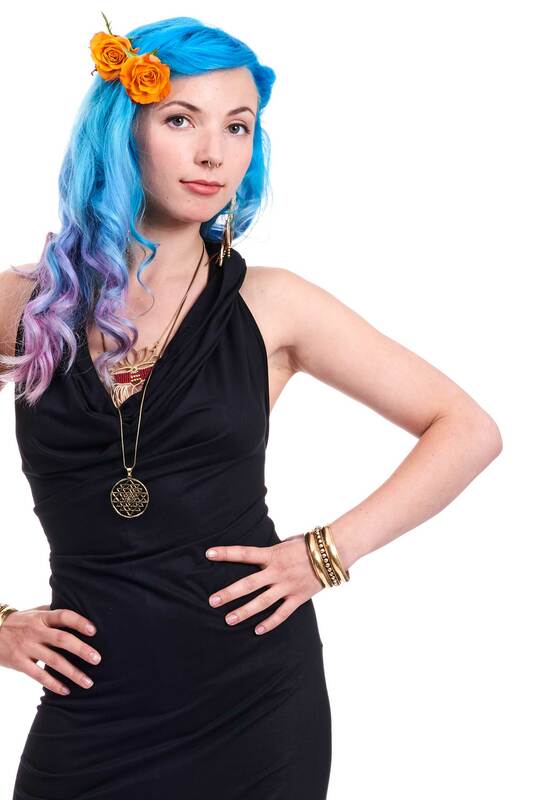 Amazing to wear as an evening dress, prom dress or a festival faery queen outfit.